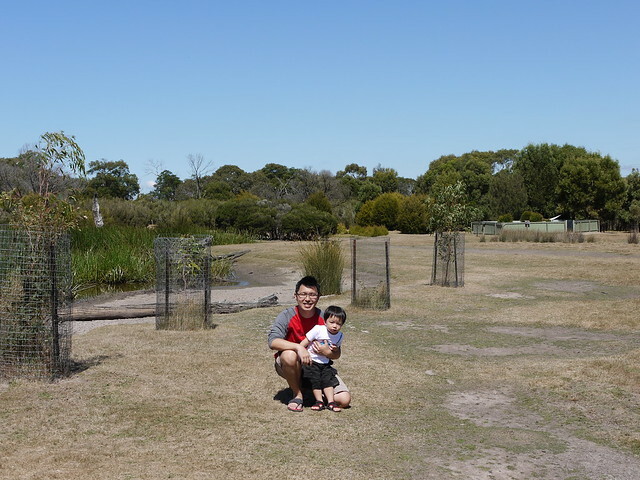 During our recent trip to Melbourne one of the most fun activities we did was to visit the Moonlit Sanctuary Wildlife Conservation Park. The park is a 25-acre bushland on the Mornington Peninsula – about an hour’s drive from Melbourne city. It’s a place where you can observe and interact with all of Australia’s wildlife in their natural environment. 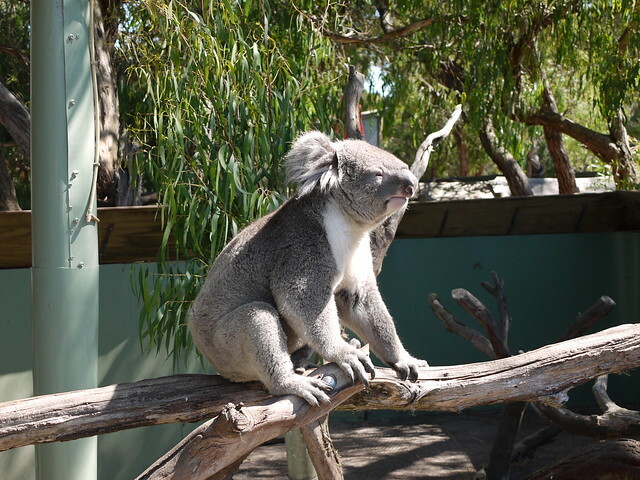 The park has all sorts of wildlife – birds, turtles, reptiles and the iconic koala bears and kangaroos. 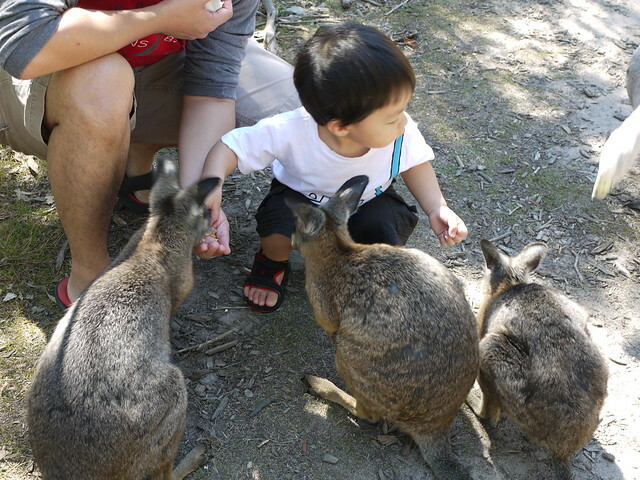 Many of the animals aren’t even in enclosures and will come right up to you, especially if you have some wallaby food which is sold at the entrance. (It’s sold as wallaby food but all the animals seem to love it). 25-acres sounds huge but we walked the entire park – slowly with little Zack – in about 90 minutes. We could have covered it faster too, or taken even more time by exploring every nook and cranny. The main highlight of the park are its night walks. Apparently Australian wildlife are most active and friendly at night and you can go on private tours to interact with them. If you can’t make it for the night tour, be sure to arrive from 12 pm onwards because they have animal presentation (meet-and-greet) sessions with the animals. Unfortunately because we were early, we didn’t make it for the 1.15pm ‘cuddle a koala’ session 🙁 Do note that some of these sessions may require an additional fee. Despite not catching any of the animal presentation sessions, we saw these animals a lot more close up than we did at the Melbourne Zoo. 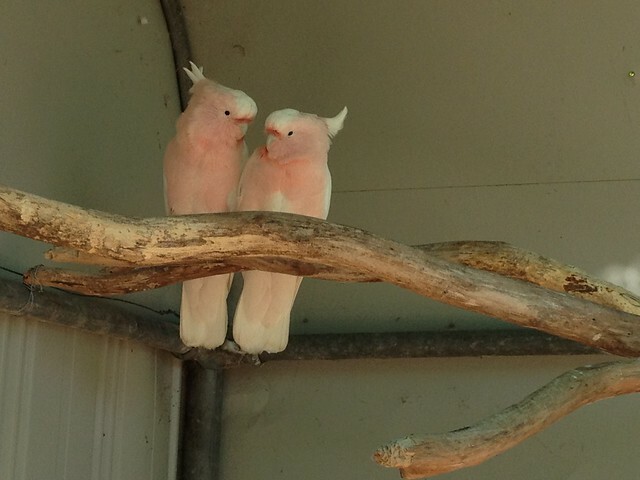 Here were the lovey-dovey cockatoos that greeted us at the start of the trail. Looks like they were in the mood for Valentine’s Day! That was the day we visited Moonlit. The wallabies were super friendly! Zack really enjoyed playing and feeding them (brave boy!). We did see kangaroos as well but they were really shy or lazy. Probably lazy because the ones we saw in Melbourne Zoo were just lying around. You can see more pictures of the park in our Melbourne Feb 2012 set on Flickr. Overall, Moonlit Sanctuary is a highly recommended attraction from me if you’re visiting Melbourne and want to meet the local wildlife. It’s location on the Mornington Peninsula make it a nice relaxing drive and there are lots of other attractions close by so you can turn it into a really memorable day out. Sunny Ridge Strawberry Farm – pick your own strawberries!